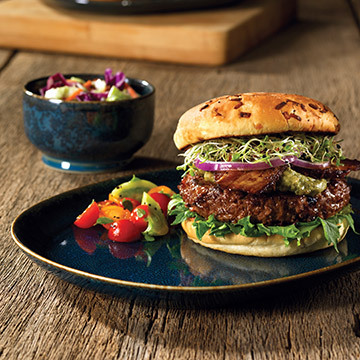 Oneida's Studio Pottery China Dinnerware will add a touch of color to your tabletop. The mixture of blue hues and rust trim seamlessly compliments the décor of any farm-to-table or rustic establishment while the fine quality porcelain is covered by a 3-year limited no-chip warranty. Additionally, select pieces feature the revolutionary underside anti-transfer technology prevents the transfer of metallic residue to the bottom of each piece, allowing for worry-free stacking. Add to Cart for Best Price!